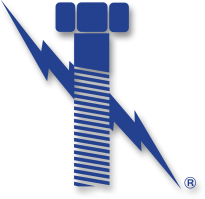 Metric Fasteners from Lightning Bolt and Supply, Inc.
From hex head cap screws to metric pull dowel pins, Lightning Bolt is the premiere source for Metric fasteners. Nuts, Washers, and even metric nord-lock washers. As you can see, metric fasteners come in a variety of options with different features and consisting of different materials. Choosing which type of metric fastener to use for a particular project may be best left to the advising engineer or project manager if working on an industrial or construction site. To get a few basics on metric fasteners, read on to learn more about these highly significant bolts that can make or break a structure. 1. Plating is the type of covering material that may be overlaid on top of the bolt. Zinc chromate, is a popular electroplating that is performed to prevent corrosion, but it may be added as a decorative feature. 2. Grade explains just how much pressure the fastener can withstand before it is expected to break or fracture. Common grades include class 8.8, class 10.9 and class 12.9. 3. Material is what actually composes the bolt. Common materials are steel, stainless steel, brass, etc. 4. Dimensional – Diameter, Pitch, and Length are very important. Dimmensional tollerances can be found in the ISO, EU, and DIN standards. Currently, there are three different metric specifications that fall under SI: DIN, ISO, and ANSI/ASME. Most metric fasteners will be manufactured to meet these three standards making them interchangeable. However, it is important that you check the metric specifications carefully so the correct bolt is selected and the integrity of the job maintained. Metric fasteners are part of the metric specifications under the International System of Units, or SI. This standard measurement system is recognized worldwide allowing for a universal set of specific measurements to be understood and followed. Our staff of professionals are experienced with all aspects of hardware and the different standards charts. We can help you find just what you need so the right bolt is used every time.